Since December 2015, Few Model Management has scouted models across a range of African countries - including Nigeria, Ghana, Ethiopia, Kenya, and Rwanda - to find unique faces. They have set a precedent for themselves as Nigeria’s most high-end boutique scouting agency, and thus garnered international acclaim and a partnership with IMG Models Worldwide. 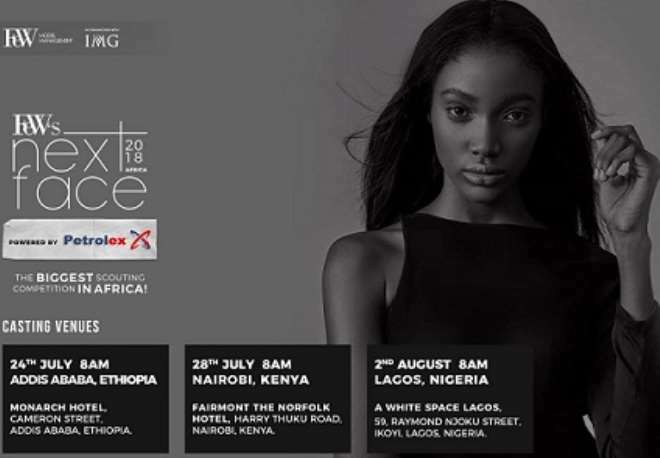 In order to tackle the prevalent lack of African models in the global industry, Few Model Management and IMG Models Worldwide joined forces to start a project now known as ‘Few’s Next Face Africa’. Few’s Next Face is a model scouting competition which aims to identify and provide a platform for aspiring young models through which their talents can be nurtured and honed to the global standards. With a continent full of beautiful African women, diversification and redefining the concept of ‘Africa. Beauty’ is also a major point of focus. The maiden edition of Few’s Next Face Africa was a two-day event held at Federal Palace Hotel, Victoria Island, Lagos. On the 30th of July, 2017, 902 contestants showed up for a casting presided over by Luis Domingo: IMG Models London, Zara Odu: Fashion Brand Analyst and Casting Director, Adebayo Okelawa: Founder of Orange Culture and Godson Ukaegbu: Editor-in-chief of Mania Magazine. 15 finalists emerged on July 31st and competed for the grand prize of a 2-year contract with IMG Models worldwide, N1,000,000 and a contract with Boss Models Cape Town in South Africa. 19year old Daberechi Kalu emerged as the winner. This year, we can expect the competition to be a lot more intense. The entire project includes casting for models in Ethiopia, Kenya, and Nigeria, after-which the top 15 girls will participate in Bootcamp from August 25th till the finale at The Federal Palace Hotel, Victoria Island, Lagos, on September 2nd. These girls will be competing for the opportunity to work with international modeling agencies like IMG Models, Next Models, Select Models, and Boss Models in their different locations – Paris, London, Spain, New York - as well as other prizes. We’re excited about the shift in direction this year and are anxious to see all the new faces that will be coming out to compete for a shot at their dream.